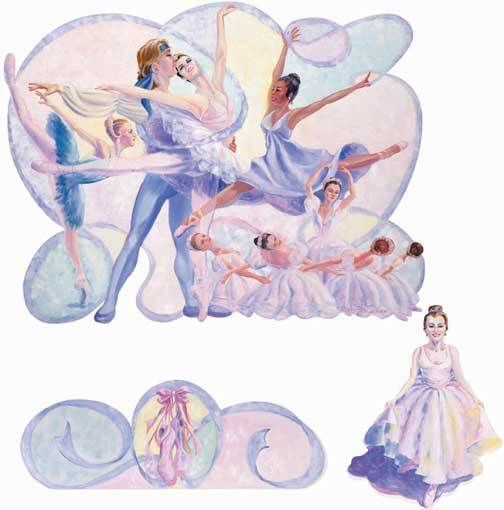 Ballet Mural - approx. size: w52" x h38.5"
Ballet Shoes - approx. size: w35" x h12"
Ballerina - approx. size: w19.5" x h22.22"
Inspire your child to dream and dance. Little girls often imagine themselves as graceful prima ballerinas. Let their imaginations soar with this collage of ballet dancers. 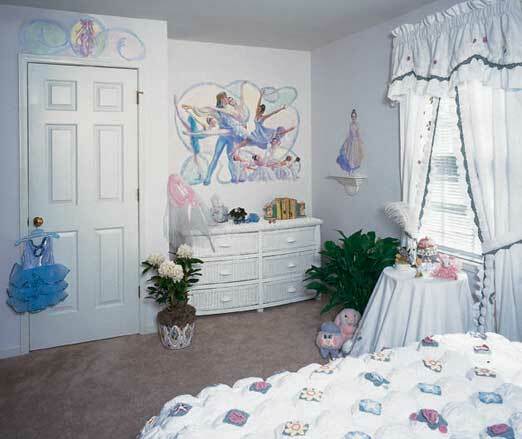 The main mural is complemented by accessory murals of a curtsying ballerina and a ribbon topper highlighting ballet slippers. A variety of pastel colors are woven together with a blue ribbon making it easy to choose coordinating decorative items.